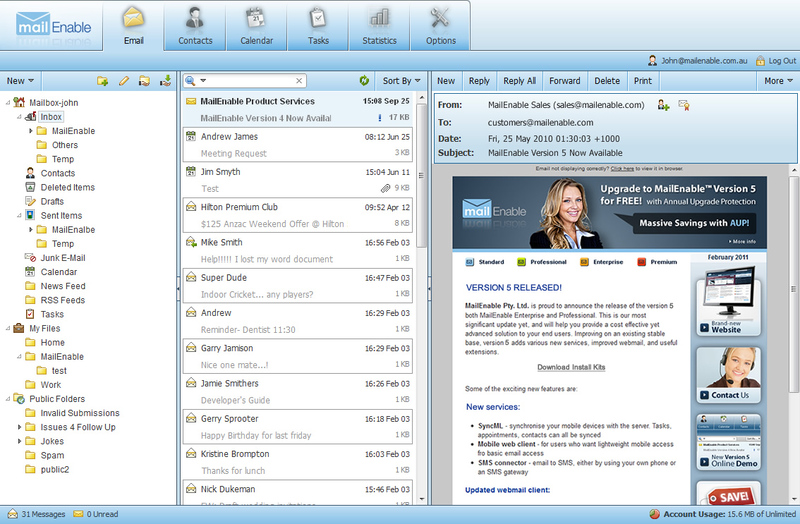 The MailEnable webmail client has been improved to provide a new fresh look with additional features that enhance the overall experience for a user accessing their mail. A new skin called Oceano has been added to complement the existing Mondo skin. This skin is better suited for low bandwidth connections, providing a passive blue backdrop. Version 6 webmail also includes a handful of new features and an array of improvements, particularly for mobile devices such as the iPhone/iPad. It is now possible to use MailEnable as a cloud storage provider. 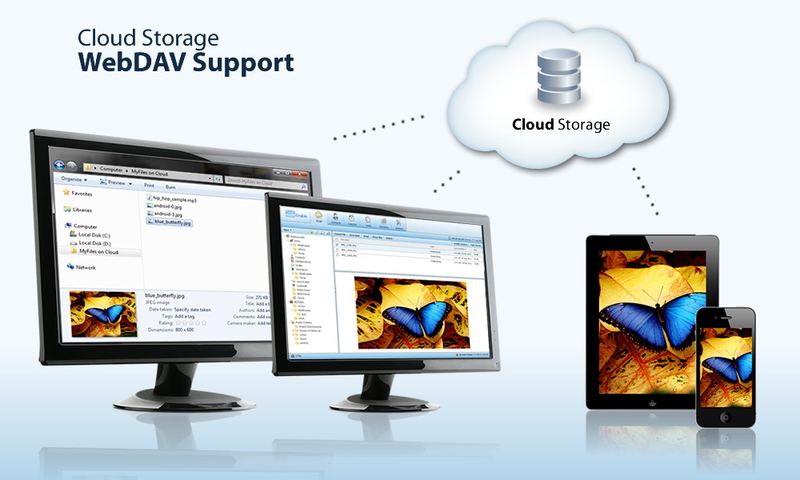 Mailbox owners are able to access their "My Files" folder as a network drive over the WebDAV protocol. Mailbox owners can store photos and documents from their computer or phone (using products like NetDrive and other WebDAV clients). For example, a person can take a photo with their iPhone and immediately save it to MyFiles. 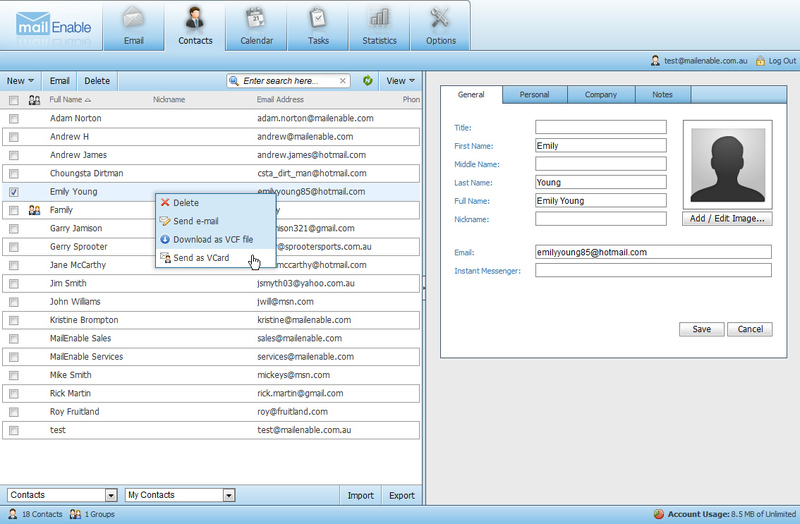 Webmail now provides the ability to add new recipient contacts to their Address Book after sending a message. When this option is enabled (via "Options>Mail"), Webmail will prompt the user whether to quickly add any recipient contacts that are not already in the Address Book as new contacts, after a message has been sent. Users have the ability to specify which email addresses to add when sending messages to multiple recipients, and can also quickly input first/last names for these new contacts on the spot. 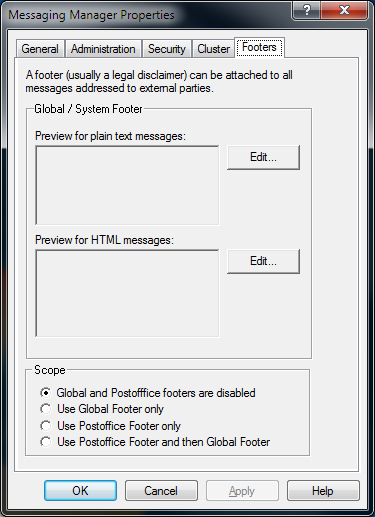 Webmail now has the ability to enforce spellchecking for every e-mail before it is sent. When this option is enabled (via "Options>Mail"), the "Send" button on the message compose page will change to "Check Spelling". Only when the spellchecking process has been completed, the user will then be able to send off the email. Server administrators will also have the ability to force spell-checking for all mailboxes, via settings in the MailEnable administration program. 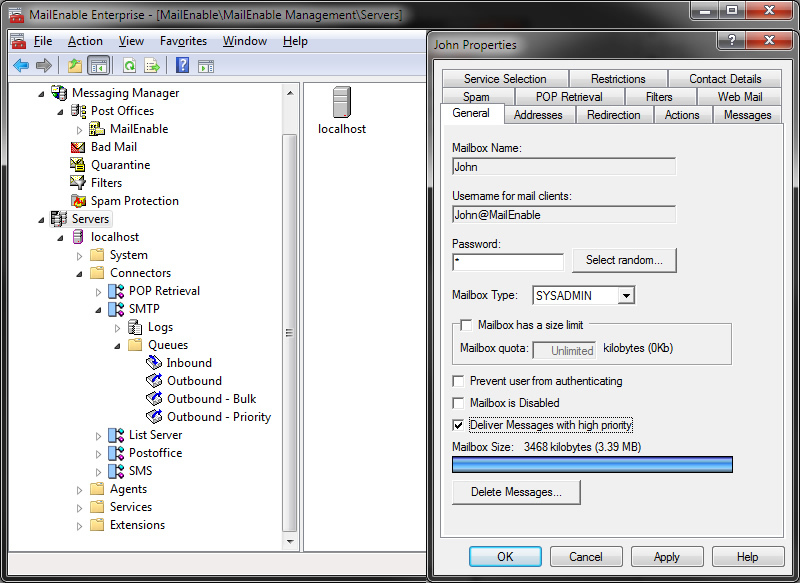 MailEnable now includes a monitoring agent that checks system health and can notify an email address of any problems that are detected, such as a large amount of email going through the system, or service failure. MailEnable now provides support for a third SMS gateway service provider, Intelli Messaging. Now there is more choice with provider, and with some simple entry of your account details within MailEnable you will be able to do email-to-SMS in no time. MailEnable recently provided some significant speed and resource improvements to its IMAP and core messaging services. 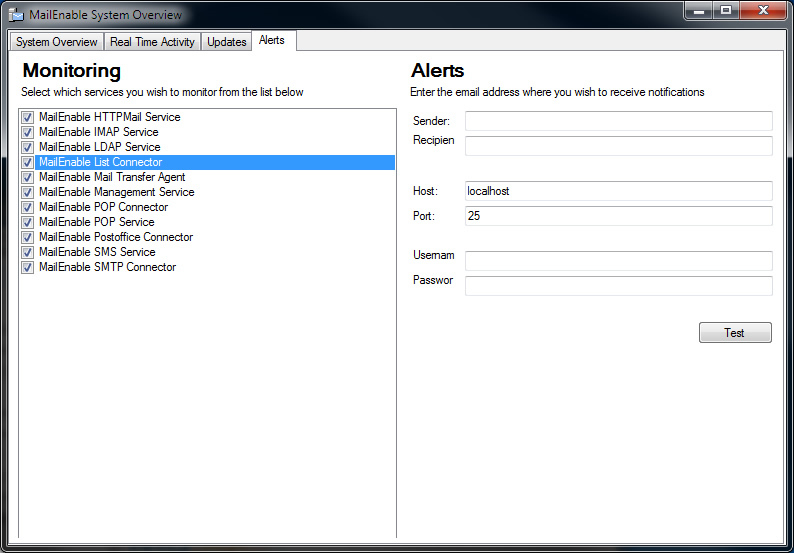 The IMAP service has received yet another boost in that it now supports the UIDPLUS extension. 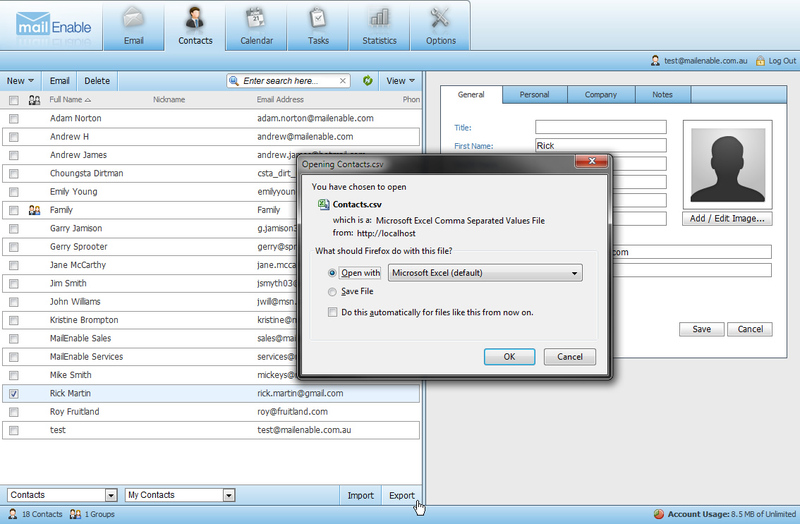 The UIDPLUS extension is available in many email clients and has recently been embraced in Outlook 2010 to boost its IMAP performance. The following table outlines the availability of Version 6 features in respective versions.